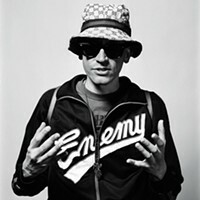 Piskor, 34, was born in Munhall, and grew up a working-class kid immersed in comics and ’80s hip-hop culture. After graduating from Steel Valley High School, he spent a year studying cartooning at New Jersey’s Kubert School. But much of his comics education came in Pittsburgh, hanging out at Bill Boichel’s Copacetic Comics and soaking up knowledge from older cartoonists like Santoro, Jim Rugg and Tom Scioli. The brand-new Book 4 covers 1984-85 and continues Piskor’s fine-grained take on hip hop’s story. 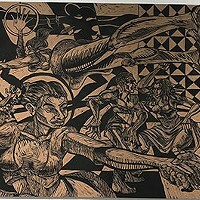 With a cover featuring Salt-N-Pepa, it ranges from obscure figures like Egyptian Lover to the prehistory of NWA and the first house parties of DJ Jazzy Jeff & the Fresh Prince, even while extending the narratives of seminal figures like Russell Simmons, Run-DMC and KRS-One. 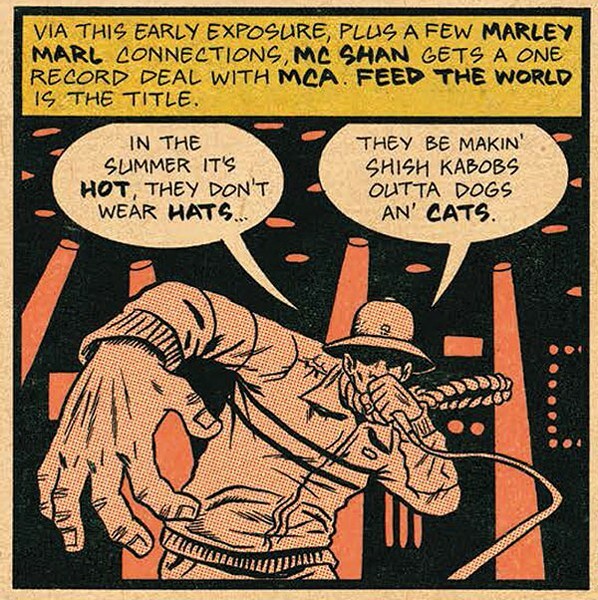 Piskor also carefully paints the wider cultural backdrop: the crack epidemic, the MOVE disaster in Philadelphia, and mainstream culture’s first nods at hip hop, with movies like Krush Groove. Visually, Piskor summons the aesthetic of classic Marvel Comics (Jack Kirby, et al. ), so that the story of rapper Roxanne Shante feels like a superhero tale, complete with colors digitally sampled from vintage comics. He’s not, however, toiling on the next volume of HHFT. “I’m not even thinking about it right now,” he says. Rather, he’s got a big new project, not yet publicly announced, that he’s pretty excited about. Pittsburgh-based cartoonist announces historic Marvel Comics deal for "X-Men"